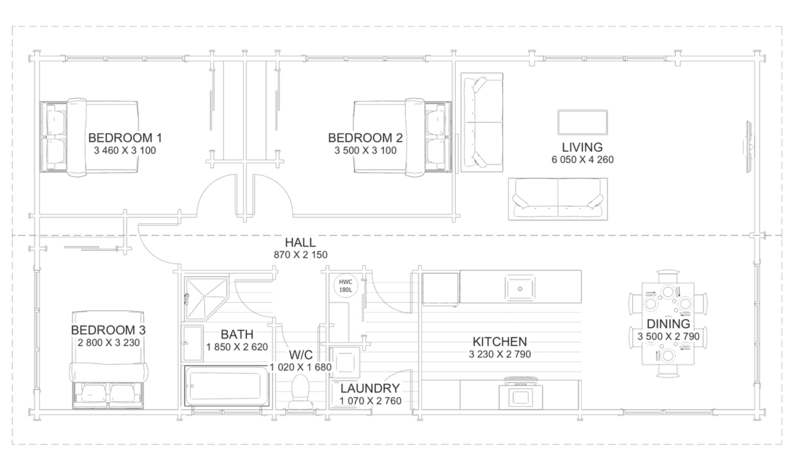 Easy to build, compact, affordable and to suit the multiple needs of holiday home, first home or sturdy rental. Ample open plan living/kitchen with lounge ranchslider, pantry, breakfast bar, plus separate toilet and separate external access laundry. Within size for future transportable needs. For all enquires about Bellbird 107, speak to our dedicated agent, Carl Watson.